Ranjan asked to apologise to Div. Sec. 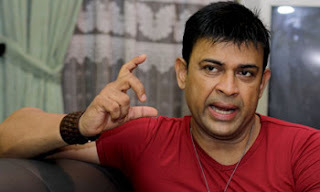 As a protest against Deputy Minister Ranjan Ramanayake’s verbally abusing the Divulapitiya Divisional Secretary in public recently, the Gampaha District Administrative Services Association (GDASA) decided to boycott their official duties on Monday. They demanded the withdrawal of the malicious statement allegedly made by the Deputy Minister. The Association's Vice President and Secretary has written to the President, Prime Minister, Speaker and Public Administration and Home Affairs Minister with copies to the Ministry Secretaries, District Secretaries and heads of all public institutions in the Gampaha District. According to reports, during a public protest at Ihala Madampella in the Divulapitiya Divisional Secretariat against soil excavation, Deputy Minister Ranjan Ramanayake who had arrived at the scene had spoken to the Divulapitiya Divisional Secretary in very harsh language, making malicious allegations accusing her, using his mobile phone and activating the loud speaker system as well.